It is currently Mon Apr 22, 2019 10:15 pm. We've been back on Join UO (without a banner, unfortunately), but the voting link on derrick's first post is broken. We miss you. Come home to us. I am from NOS. Vega there. Diff style pvp, wway better and more enjoyable. 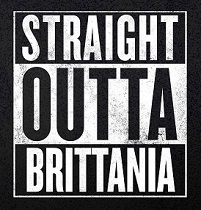 yea i been searching for that, cant find it, man those days were so fun...im really just waiting for Albion Online, I have been donating to get it started, open beta is this year i believe. Is there anything like Nos out there? No, it was too good to replicate. Several people have tried rebooting their same scripts, but its not the same. There are many nos players here because its amazing here. Updated some links, removed some banners! Quick ping to this thread. Seems like lately a lot of old timers as well as newcomers have been showing up on UOSA! There's never been a better time to vote UOSA to the top of these lists! Friendly bump! Go to page 1, and vote please!